The Statens Museum for Kunst (SMK) Second Canvas app is your tool for exploring the beautiful SMK art collections in super high resolution, like never before. Discover, interact, learn from stories told by experts or choose your favorite detail and share it with your friends on social media, including the option of hooking it up to your TV screen at home or at school. 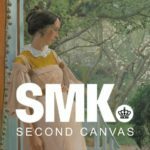 Created by SMK and Madpixel, SMK Second Canvas allows you to explore highlights from its Danish and Nordic Collection and of its European Collection, with the best quality and resolution. Extra material for each masterpiece, links to additional information, audioguide and sign language guide. Super-zoom to explore the artworks with the best quality and discover hidden details. X-Ray vision for the Laurits Andersen Ring painting “The Artist’s Wife”, to reveal his particular painting technique, pentimenti and more. Discover amazing stories, detail by detail, told by experts: learn about the characters, symbolism, technique, or the artist signature. Play a cinematic tour through the Gigapixel image to discover the artwork secrets while listening to the audio (for now, this kind of “audiotour” is available for Bouquet of Flowers in a Stone Niche, by Ambrosius Bosschaerts the Elder). Connect your iPad/iPhone to your TV at home (via AirPlay, cable) or to the projector at school to see the painting in full screen while interacting with your touch device. Download the details with their stories so they can be accessed even when you’re offline or in airplane mode. Copyright: 2018 © Second Canvas platform​ ​ af The Mad Pixel Factory, S.L.